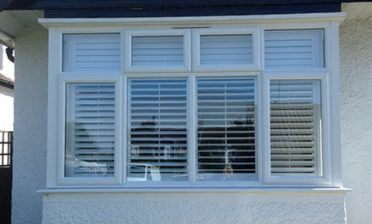 Ben was in Coney Hall, Kent to fit some of our bespoke window shutters for a bathroom. 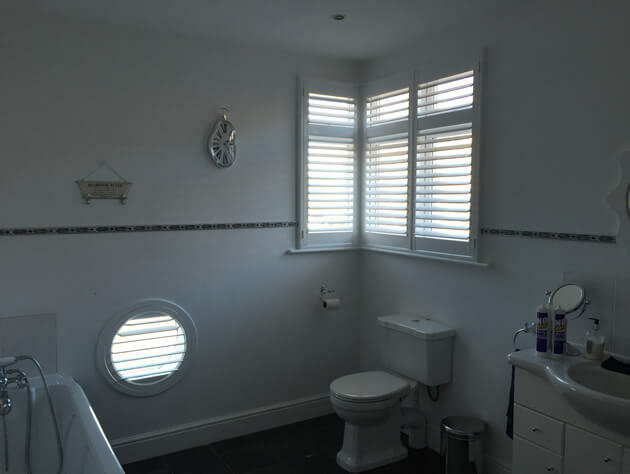 This was an interesting job as we were required to fit some full height shutters to a window on the corner of the bathroom and also special shaped circle shutters to a lower level window which sat next to the bath. 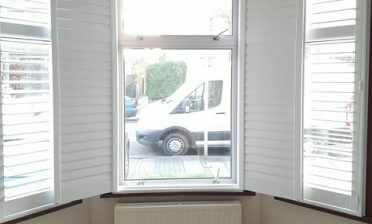 The customer was looking to get better privacy in the Bathroom, as well as take advantage of a window dressing which is far more durable and long lasting. We had to custom make our shutters to fit the exact window areas, while making the look and finish of the shutters match on such different windows. 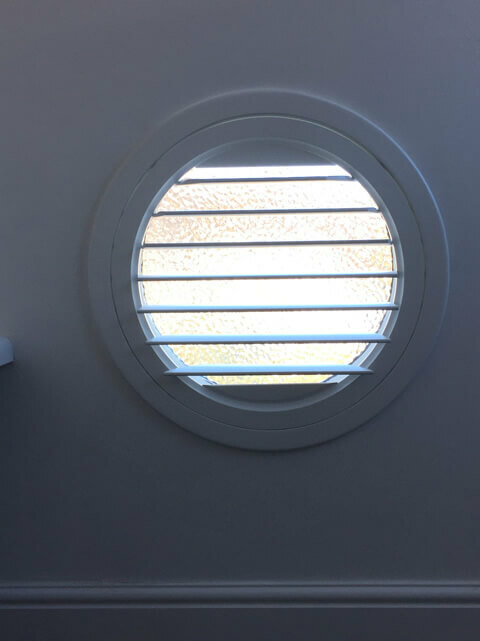 The circle shaped shutters were created from our Fiji Range which allows us to custom make a wide range of shapes, with the standard window using material from our Cuba Range. The standard window was created in a full height style with mid rail close to the top, which gives more flexibility when it comes to adjustment, as the customer can adjust the top and bottom section separately. 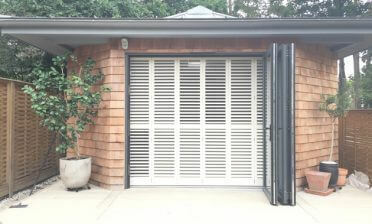 Both sets of shutters were made using 76mm louvres with a hidden tilt rod system, so that the customer can adjust the shutters by touch rather than using a visible rod. We finished them both in pure white with matching hinges.